Sriracha HOT chili sauce, crispy chicken wings, and tons of garlic, make these spicy wings the *best* chicken wings we’ve ever cooked! 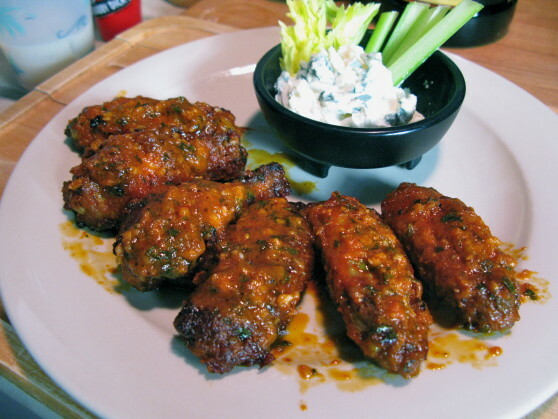 The wings are marinated in olive oil & spices, then baked for 30 mins. before being deep-fried to finish cooking, and get their wonderfully crispy skin. Then, you toss them in the Sriracha, butter, cilantro, and garlic sauce before serving. Yum!! !